Meet the Cheshire Cat Team! Our support team is a group of caring individuals that help you and our veterinarians provide your cat the care it deserves. 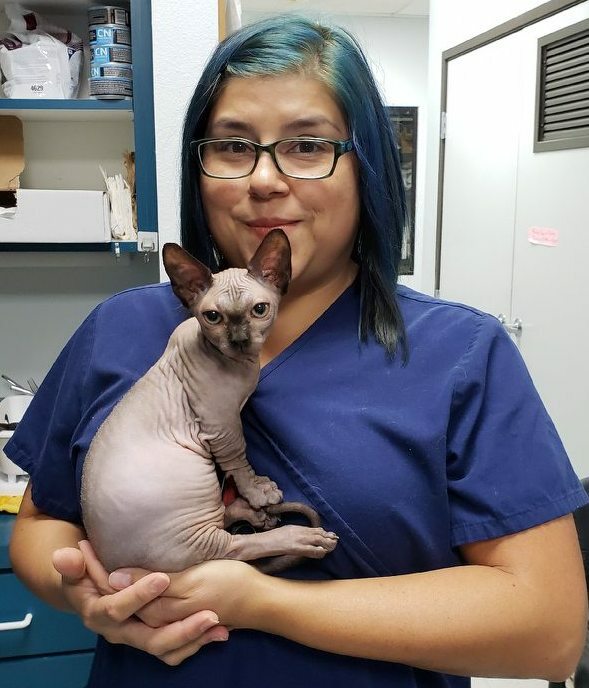 Our team is specifically trained to handle our feline patients.Together our veterinary team has many years of experience in the veterinary field. Christopher has been in the veterinary business for over 25 years. 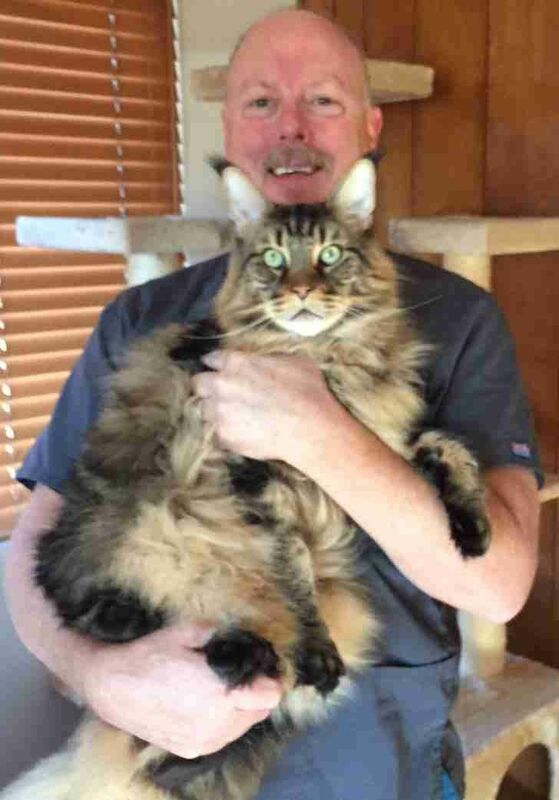 Christopher has always loved animals so he started part time at a clinic in Escondido as a kennel tech, then moved on to a busy practice in Rancho Bernardo where he became technician, tech supervisor and finally office manager. Christopher started working here at Cheshire Cat in August of 2015 as Office Manager/Technician. Christopher has always had animals in his life and his love of cats has brought him here. When not at Cheshire Cat Chris enjoys playing music, motorcycles and being with his wife Cheryl and 2 cats ZZ and Samson. Marta began volunteering at the Department of Animal Services when she was 18 and has loved it ever since. She became "hooked" and 33 years still loves what she does. Marta started here at Cheshire Cat in July of 2012 and has been a staple of the business every since. Marta keeps busy with her son, 5 cats and 1 dog. Margo started her animal career at the Fund For Animals Wildlife Rehabilitation Center in 1994, where she cared for orphaned, injured and ill native wildlife. After moving on from there she worked for an avian and exotic animal clinic for 10 years. In 2014 she came to work here at Cheshire Cat where she is able to explore her true love of felines. Margo enjoys playing guitar and music for her 5 cats (Arya, Heisenberg,Amun-Ra, Hathor and Stryker B Nubbs). Margo also has 2 dogs (Anubis and Neffie). Barbara has been working exclusively with felines for over 10 years. Her biggest passion is obviously, cats. Her "low-stress handling" techniques will make your cats visit to our clinic a pawsome experience. Anita has been working in the veterinary industry for over 10 years. She started as an assistant in the ICU of an animal specialty hospital. She graduated from the PIMA Medical Institute with an associates degree in veterinary technology in 2007. Anita then transitioned to general practice working with cats and dogs. Cats have been her favorite animal to work with so she found her way here to the Cheshire Cat Clinic, and is now loving it here every day. When not at Cheshire Cat Anita is a photography student and has 2 cats Choco and Monticore. Norma has been working with cats and dogs for over 12 years. She has always loved working with animals but cats and puppies have been her favorite. Since working her at Cheshire Cat she has developed a big passion for cats. Norma would like to have another cat as soon as the right one is found. When not working at Cheshire Cat, Norma keeps busy with her daughter.